Ok this is going up much later than planned guys! Sorry. I seemed to have time for films this month which was nice! 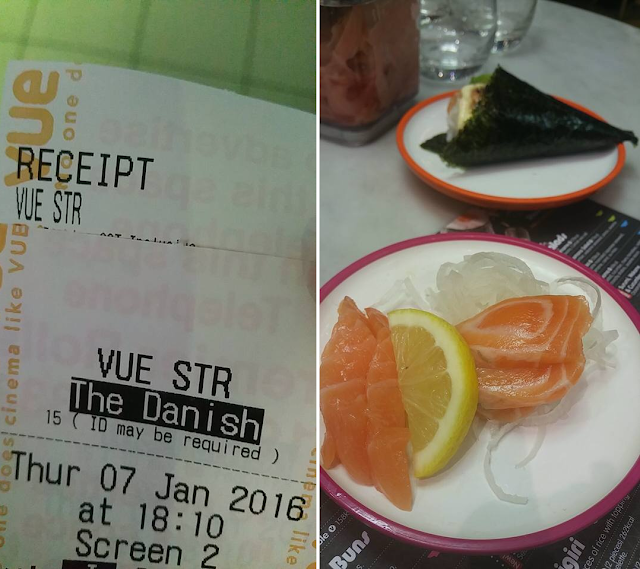 My dad and I went to see The Theory of Everything last year so were both really eager to get the the cinema to see The Danish Girl too! I really enjoyed the film although he wasn't convinced Eddie was as good as last time. We were both shocked by the ending though, totally didn't expect that! We finished off the evening with YO! Sushi which seems to be where we always end up haha yum! I was also sent to little pack of goodies to have a movie night in - from Gracewell of Chingford, a care home not far from me! This time it was with Andrews family! The idea is that everyone of all ages enjoys a good film and its one of those things that different generations can enjoy together! Of course they're right, Andrew and I watched this together with his parents one evening over a cheeky takeaway and we all loved it! This place seems to pop up in my roundup posts quite a lot and that's because I really do love it there. Andrew and I were originally going for an Indian but after driving past on the way to my house, we both got Sheesh cravings. I wore my new Motel dress again - I think you guys can tell this has become a favorite recently. I love the floaty shape and the velvet material. It was packed as usual and we were pretty lucky to get a table! This place has the best atmosphere and of course the food is incredible! We ended up with four starters which were all delicious, its nice to try something new every now and then and I'm pretty sure we will be ordering them next time - the Shrimp Saganaki were our favourite - juicy prawns, tomato & feta mmmm. Andrew went all out and got a mixed grill while I stuck with my usual - chicken legs. After dinner, we decided to go up to the bar for a drink - prosecco for me of course and and a girly looking cocktail for Andrew as usual! The had a live band and saxophone player so we spent the rest of the evening in a comfy chair, people watching - which is all the more exciting when they are all reality stars! We even ended up in the background of one of Jessica Wrights instagram photos hahah! I seem to have spend a large portion of January in one Dirty Martini or another! We actually started the night before NYE with dinner at burger and lobster and on to DM St Pauls for a double date with our friends! Rachel and I got through quite a few cocktails swapping back and forth from the passionfruit martini to the chocolate one all night, while the boys had a bottle of prosecco each! Dirty Martinis chocolate cocktail is my favourite one around! We then went again mid Jan because 10pm happy hour was just too good to refuse! This time we met Stefan after work and went straight to the Hanover Square branch. I havent really been to many bloggers networking events before but with and invite to the ice bar on a miserable monday night and the opportunity to meet some new bloggers was kinda hard to turn down! I was one of the few bloggers who had actually been there before, (twice) so it was super to be able to go with Juanita who hadn't seen it before plus she would have gotten lost if I didnt walk her there from work hahah. 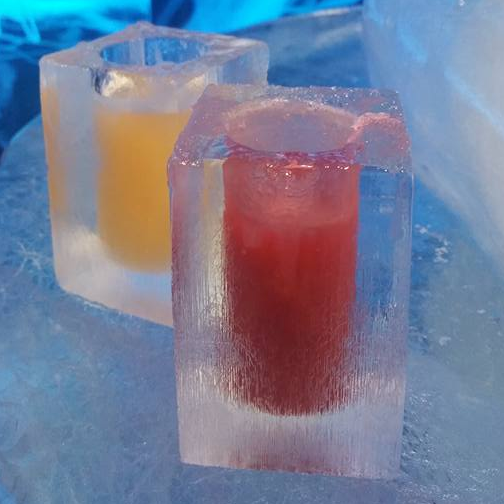 I have reviewed the Ice Bar London before and as well as the actual bar itself, I actually the rest of the place. It was great to mingle downstairs and get chatting to everyone - I even came across a couple of girls from Essex too! After about an hour and a half it was time for our session in the ice. The blue cloaks went on and the cameras came out - it was selfie central as you can imagine. We both went for a mocktail as its one of the thing I remember and love about each visit to the bar, they are so good. We had our drinks, took our photos and explored the cool new Rock theme they have going on there until we decided that we were too cold. Apparently we were only in there 8 minutes hahah.